I'm honoured that you have all come to join me begin my campaign to lead our great party into the 2016 general elections at this famous venue - Akwei's house. This house evokes a lot of emotion and fond memories in me. Born as I was, in Swalaba, not so far from here, I know the significant role Akwei's House has played in the history of our nation. Many of the great figures of the United Party, from which today's NPP descends, used to meet here regularly in the late 1950s. Persons like Emmanuel Obetebi-Lamptey, Ashie Nikoi, Attoh Okine, K.Y. 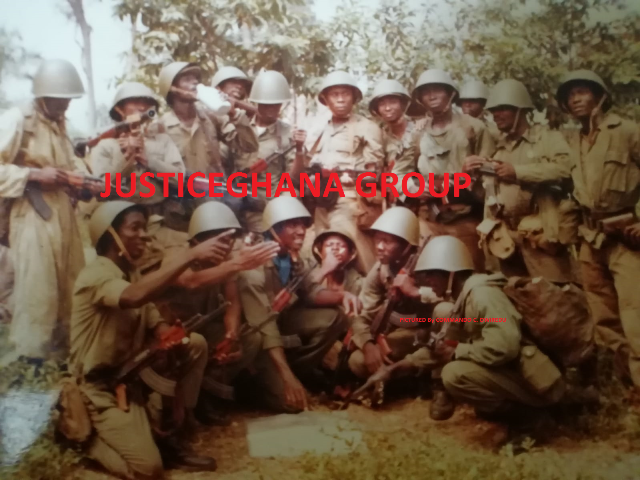 Attoh, Henry Thompson and the young Attoh Quarshie -- all of whom were victims, indeed among the first, of the infamous Preventive Detention Act -- were frequent visitors, coming here to interact with their supporters, and charting their determination to resist the incipient dictatorship of Kwame Nkrumah's CPP. They were determined to hold aloft the banner of liberty, and were prepared to pay the price for so doing. Even though initially it appeared they had failed, history has subsequently vindicated them. They were the pioneers in the construction of the multi-party democratic Ghana that we are enjoying today. We have to emulate their determination as we begin the difficult task of returning the NPP back into power, and restoring Ghana onto the path of progress and prosperity once again. In our quest to wrestle power from the incompetent hands of John Mahama, our party, over the last 7 months, has held elections from polling station, constituency, regional, right up to the national level, and in the process elected some 140,000 executives and officers to steer the affairs of the party for the next four years. The generally peaceful, free, fair and united manner in which the polls were conducted serve as an encouraging testimony to the NPP's democratic culture and a neat exhibition of the spirit of oneness that the NPP needs. This must and will continue. We are now at the final hurdle in these internal contests, and we must consciously let peace and unity within the NPP serve as our constant guide. On my part, I continue to be humbled by the confidence that many, many Ghanaians from all walks of life, especially young people, some of whom are yet to cast their first ballot, have in me. I am profoundly grateful that so many people consider me worthy to lead this promising nation of ours, even at the young age of 70. I do not know what 70-year olds are supposed to feel like but I feel well, my body is in good shape; my mind remains as sharp as it ever was. I am constantly grateful to the Almighty that I have been so blessed. I have questioned and examined myself intensely to be sure that, to borrow a phrase, the competitive fire still burns in my belly. Ladies and gentlemen I am fit and ready and my appetite is as keen as ever to go into battle for the cause of the NPP. I wish to assure all of you gathered here, that, contrary to the propaganda out there, Nana Akufo-Addo is emotionally, intellectually, psychologically, physically, patriotically and spiritually strong enough to lead this party and our dear nation Ghana. In the 8 years of NPP administration under the outstanding leadership of President J A Kufuor, through our policies in education, health, youth employment, small loan schemes, to name a few, we demonstrated in practical terms our belief that government has a responsibility to provide all its citizens with skills and opportunities to create their own wealth. As a party, we have always sought to create a political economy consistent with our fundamental belief in individual liberties; provide equal opportunities to all citizens; promote and empower the private sector, so as to create wealth, and use the tax revenue accrued to the state from such free entrepreneurship to develop infrastructure and invest in the social sectors to create greater opportunities for the less well off. It is obvious to us all now that these programmes and ideas can only be implemented under an NPP government. The NPP has unfinished business. Ghanaians are impatient for the NPP to finish its internal contest and focus on what matters most; the restoration of hope and the development of our nation. From what I hear on the ground, from the endorsements and declarations of support for my candidature, both publicly and privately, I believe in all humility that I am the party's best bet to winning power in 2016. The journey to 2016, the journey to maintain the confidence of the great majority of Ghanaians for the NPP, secure that victory, and begin the all-important project to rescue Ghana and get Ghana working again has started. Ghana is not working. Ghana should work again. And, with me and the NPP, with you the people and with God on our side, Ghana will work again! I urge all my fellow aspirants and supporters to be mindful of the fact that the people of Ghana are looking up to us so to conduct our affairs as to give them the confidence to trust us with the mandate to serve them once again. Ghanaians are looking to the NPP to restore hope and offer the kind of purposeful leadership that will speed up the development of our nation and the prosperity of every Ghanaian. On my part, I have always mounted a clean campaign and have always focused on issues. Nothing shall sway me from this path, because this is but a contest between members of one family, the Great Elephant family. We have to focus on the havoc Mahama's government is wreaking on the populace on a daily basis. We are two years in the second term of the NDC. The Better Ghana they promised in 2008 and repeated in 2012 remains an empty and cynical slogan as is their “e dey bii keke”. There can be no Better Ghana when access to healthcare is worse today than it was even a year ago. There can be no better Ghana, when our cedi is the worst performing currency in Africa and the second worst in the world, better only than Ukraine's local currency. There can be no better Ghana when higher taxes, high utility prices, high fuel prices, low sales are killing businesses up and down the country. There can be no better Ghana when our young people cannot find jobs. There can be no better Ghana when the leadership of the country has lost touch with the concerns of the people and dances to the tune of “Yen tie obiaa”. There can be no better Ghana so long as the NDC remains in power. There can be no better Ghana with the current clueless and uncaring leadership. The crisis facing our country can be cured. But it can only be cured by a competent and dynamic team with a programme for determined implementation under the decisive leadership of a person with a clear vision of Ghana's future. At the heart of the crisis Ghana is facing is a crisis of confidence in leadership. The people have lost confidence in President Mahama and the NDC’s ability to govern. This is clearly evident in the unprecedented nationwide demonstrations that have rocked this country, recently by the Trades Union Congress, the Industrial and Commercial Workers Union, health workers, workers in our educational institutions, railway workers, residents in some communities in Accra and other parts of the country protesting against the harsh conditions of life, including the poor condition of roads in their areas. It is this same loss of confidence in the leadership that led to the disgraceful spectacle of Ghana flying money halfway across the world to pay a mutinous national team. It gives me no pleasure to say that things are unfolding just as we had predicted, and that, indeed, the chickens have come home to roost. The hole this country is in is a result of the desperation of the NDC government to win the 2012 elections at all cost. The reckless overspending which resulted in a budget deficit of GH¢8.7 billion representing 12.1% of GDP, the widespread corruption, the payment of millions and millions of Ghana cedis of our money in dubious judgement debts, the disregard of value for money in the award of contracts is what has brought Ghana down on its knees. It gives pain to watch the NDC display such utter incompetence and fail so abjectly to fix the mess it has put us in. There are some who are expressing loud anxieties that Ghana might be heading back to the dark days because of the chaos, economic meltdown and blatant corruption we are experiencing. Ladies and gentlemen, there is one critical difference today. That is, we have a democracy and an elected government; all our institutions might not be working as well as we would like, but we have a strong national consensus on multi-party democracy being the way to govern. Our regime change comes and will come in December 2016 when we vote out this clueless and uncaring government. That might seem a long way off for many who are currently enduring the difficulties and hardships, but I urge you all to keep hope alive. We turn our back on our democracy at our peril. In the meantime, we will continue to urge President Mahama to listen to the advice of many well-meaning Ghanaians and make the lives of our people easier. For example, the Minority in Parliament deserves to be heard on the subject of reckless and dubious loans. For the moment we shall keep on praying for our President at the minimum to keep our nation together, and to alleviate the suffering of our people. My vision and determination to transform Ghana remains as strong as it ever was. There is an even greater urgency now to give Ghana the leadership it deserves, the leadership that can bring back confidence to our country. The soul of our nation is in pain. Our people are in pain. The international community is puzzled; how did Ghana get itself into this mess within such a short period. Investors are worried. Parents are in tears. Children fear for their future. Workers are worried and unhappy. We will put Ghana back to work. We will stabilize the cedi, we have done it before. We will manage the economy competently, we have done it before. We will create the environment for the private sector to thrive, we have done it before. We will provide the leadership that will mobilise the positive energies of the great majority of Ghanaians, irrespective of their political affiliations, to take the bold steps towards the structural transformation of our national economy, which is the way to lasting prosperity. We will improve significantly the governance of our nation, we have done it before. I am strong in my conviction and confident that we can do it. I know we are capable. God did not put us on this rich land to be poor. It is bad leadership that makes us poor. God-willing, I will from tomorrow embark on a nationwide tour ahead of the holding of the Special Electoral College, fixed by the party's National Council for 31st August 2014. I will travel to Bolgatanga, Tamale, Wa the next three days, and to all parts of the country to plead with delegates to give me the mandate to lead the NPP once again. 2016 is and must be the time to rescue Ghana. I have established a campaign structure in the constituencies, in the regions and across the nation to help me run an effective campaign. Or shall we stay on it and perish slow"
I will stay on this ship, the NPP will stay on this ship and we shall get it to refloat. We shall restore hope and we shall make Ghana work again and bring back the smile to the faces of our people. The Black Star will shine again! To the people of Ghana I say, keep hope alive. I believe in Ghana. And, above all, I believe in God. Change will come in 2016. I am ready. Let the journey begin.